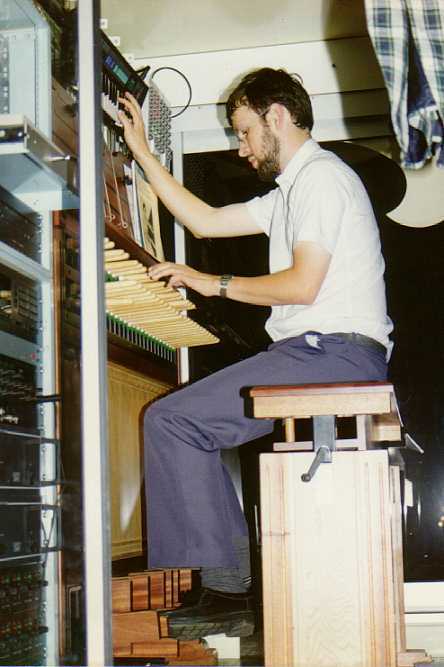 Born in Hilvarenbeek, The Netherlands, in 1971, Gideon Bodden studied the carillon at both the Belgian (Mechelen) and Dutch (Amersfoort) carillon schools. In 1993 he was appointed citycarillonneur of Amsterdam, currently presiding over the carillons in the Minttower and in the Oude Kerk Tower (both instruments were originally made by the Hemony brothers). As citycarillonneur of Oudewater mr. Bodden plays the only Taylor-carillon that was installed in Holland after World War II. In 1998 he succeeded his former teacher Carlo van Ulft as citycarillonneur of Hilvarenbeek, in the South of The Netherlands. 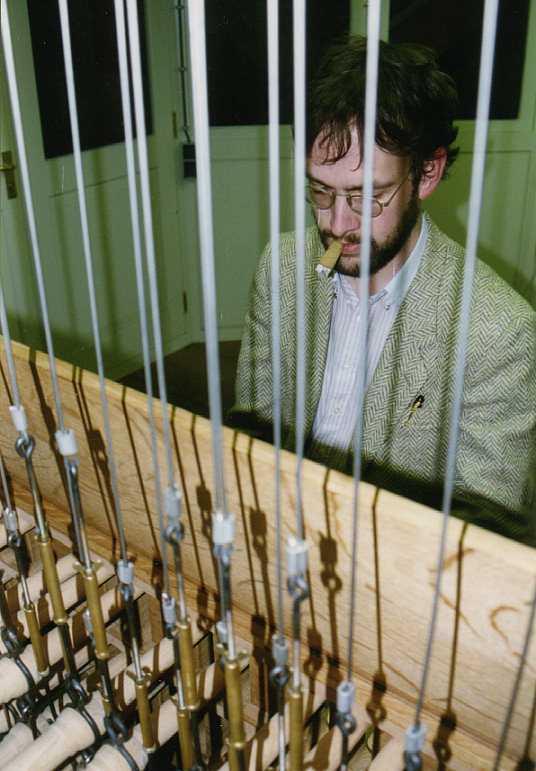 In 2008 Gideon Bodden was appointed as City Carillonneur of Schoonhoven, where he plays, in collaboration with Boudewijn Zwart, the 18th century Van den Gheyn carilllon. Gideon Bodden won several international contests for carillon playing, including the prestigious Queen Fabiola International Carillon Playing Competition in Mechelen, Belgium, in 1993. In 1994, together with Gildas Delaporte, he won the First Prize in the First Competition for Duet-carillon playing in Douai, France. He was awarded an Honorary Certificate of the University of California at Berkeley in 1998. 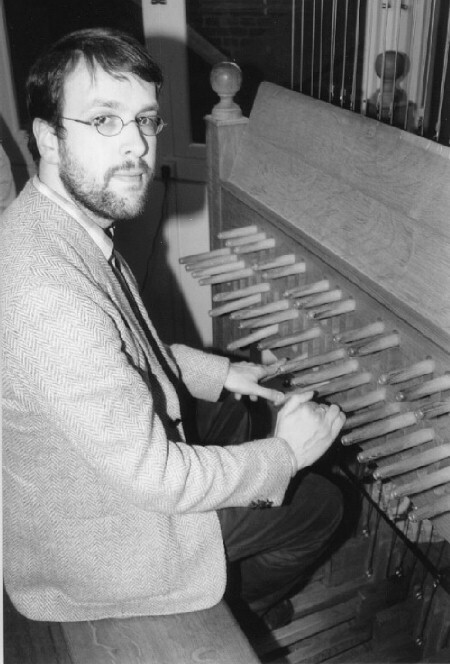 Being an outspoken advocate for the performance of music of very high quality on the carillon, Gideon Bodden gave recitals on almost all important carillons in the Low Countries, France, Germany, Denmark and the United States. 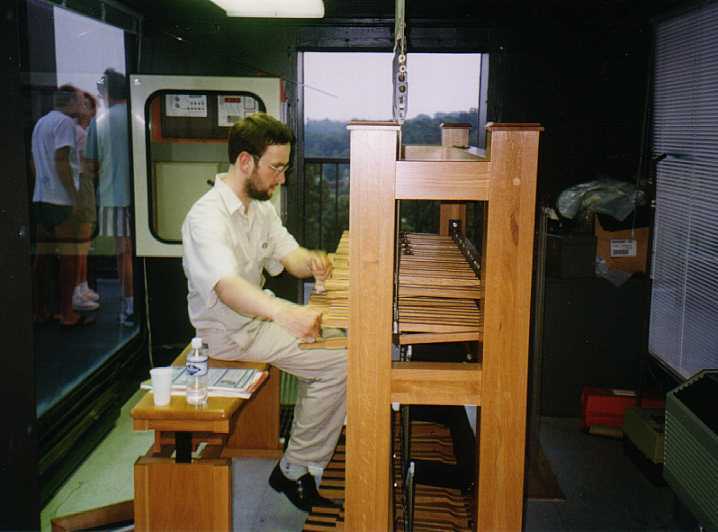 During a two-month stay in 1993 he gave 120 carillon recitals on the traveling carillon in Nagasaki Holland Village, Japan, where he also recorded the first Japanese Carillon-CD. During several years Mr. Bodden was active as a member of the board of directors of the Dutch Carillon Society (NKV) and today he frequently performs as a guest-recitalist both in Europe and in the United States. 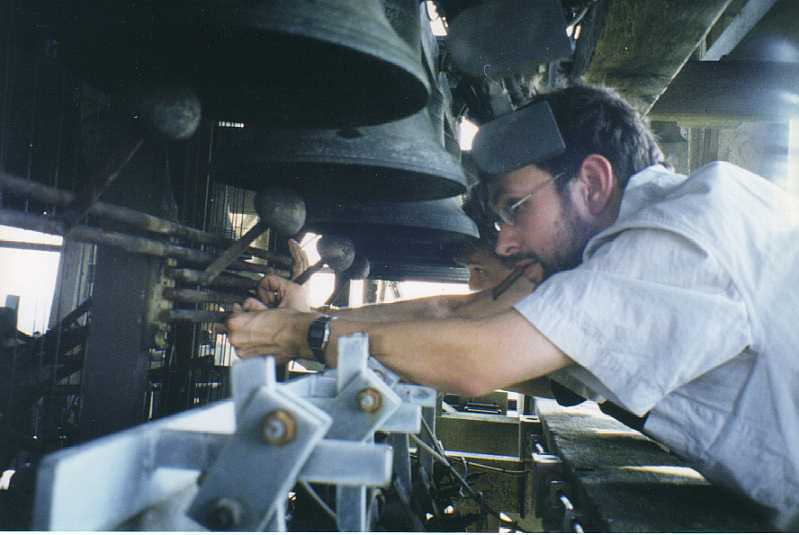 As director of the European Division of Het Molenpad Expertise, he restores, constructs and maintains carillon installations and tower clocks and he is specializes in bell tuning. Besides Gideon Bodden regularly lectures on campanological-related subjects in different settings. 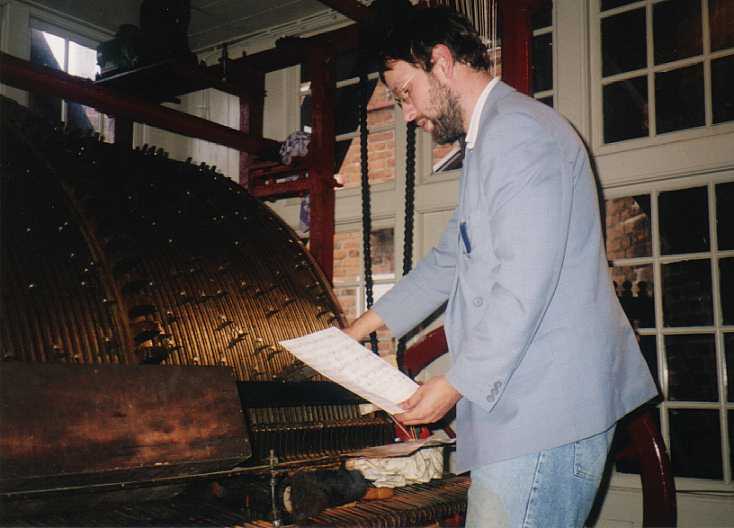 In august 2003 Gideon Bodden in one concert at the carillon of the Great Church at Dordrecht performed to complete carillon oeuvre by the Dutch composer Kors Monster. 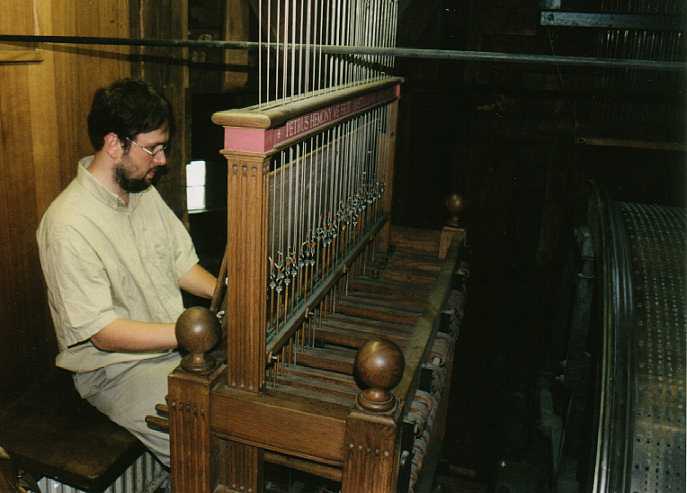 Gideon Bodden is a specialist in designing bell profiles and in tuning carillon bells. 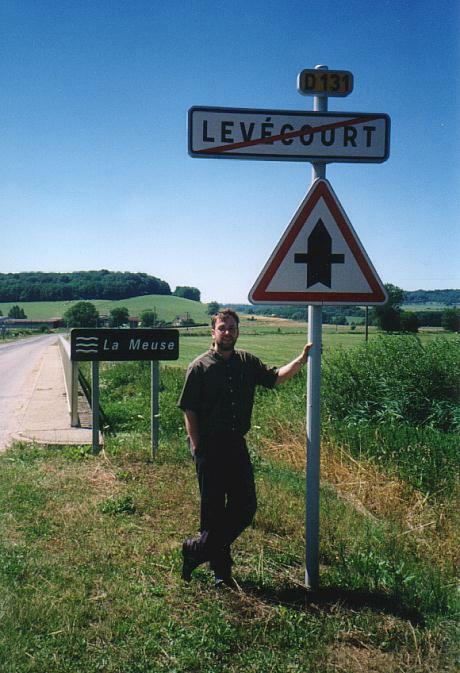 at Levécourt, the sweet birthplace of François and Pieter Hemony, in the Haute-Marne department, the former Lorraine. 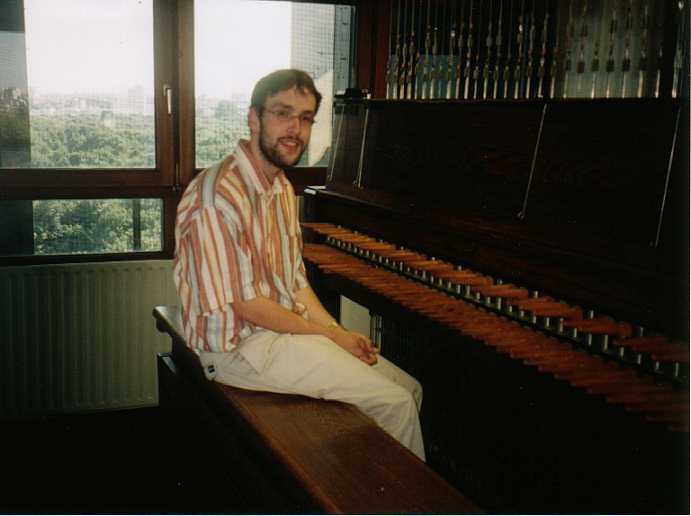 before the concert, at the keyboard of the carillon in the Berlin Tiergarten, near the Reichstag. The carillon's nickname is 'Big Benz'. at work at the mechanical system of the carillon at the Cuneratower in Rhenen, The Netherlands. 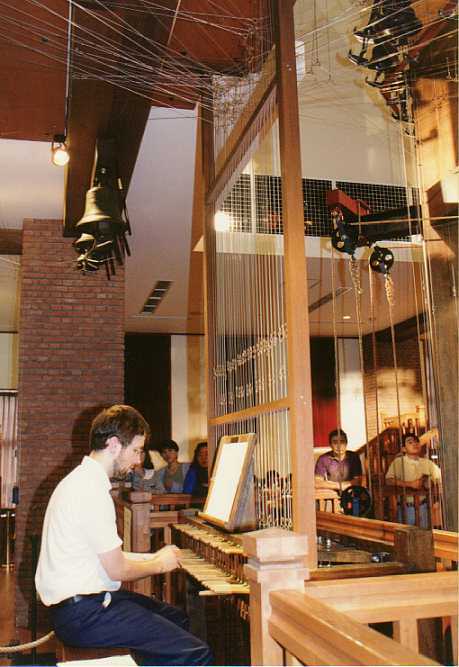 during a two-month stay in Japan: playing the travelling carillon at Nagasaki Holland Village / Huis ten Bosch. In this concert not only the bells were played, but also a sophisticated synthesizer combination. Besides, from this keyboard also the automatic carillons at Gouda Townhall and at Nijenrode Castle could be set into motion. Three carillons playing together! 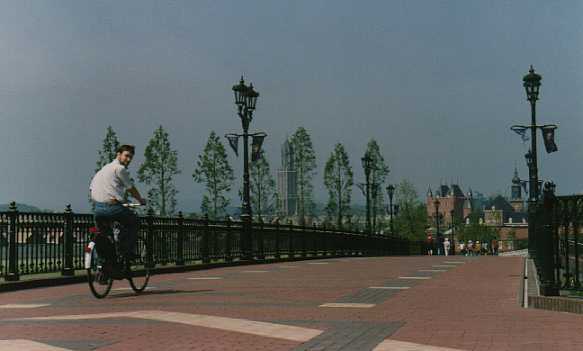 on an old fashioned bike, travelling from the employees-village to Huis ten Bosch near Nagasaki. In the distance the Utrecht Domtower and the Nijenrode Castle (Breukelen) can be recognized. At the cerenony of the Queen Fabiola Carillonplaying contest in Mechelen, Belgium in 1990. On the left: your humble host. 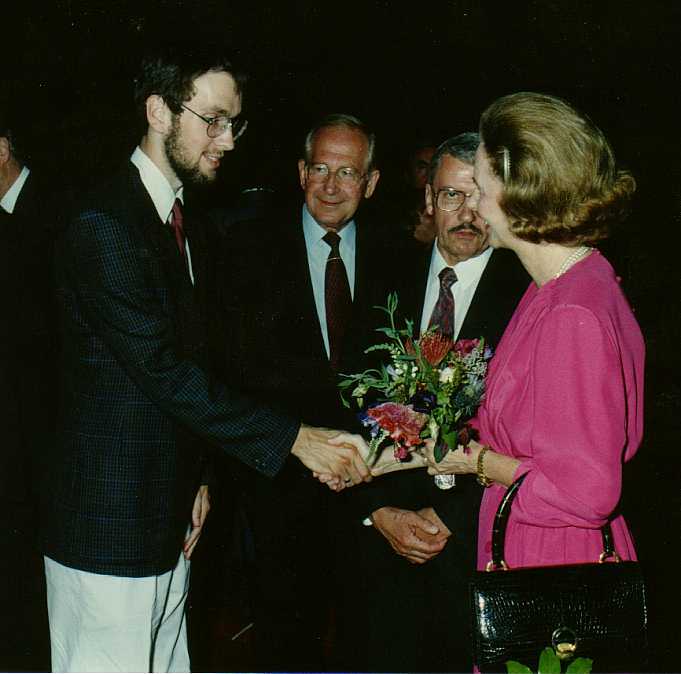 On the right Her Majesty Queen Fabiola of Belgium. During a recital on the carillon at St.-Johns tower at Gouda. during the changing of the music at the drum (automatic play) of the carillon at the Dom tower of Utrecht.